When you are pregnant, each thing you eat, drink, or take into your body may affect your unborn baby. So try to eat healthy foods and drink lots of water while you are pregnant. Do not drink alcohol or use drugs, such as marijuana, meth, cocaine, or heroin. Even a little alcohol or drug use can hurt your baby. Smoking can also slow your baby's growth. Alcohol and drug use during pregnancy can cause problems in your child that can last for his or her whole life. If you are thinking about getting pregnant, stop drinking alcohol and do not use drugs or smoke. You may not know when you get pregnant. Stop drinking alcohol. Tell your doctor or midwife if you need help to quit. Counselling, support groups, and sometimes medicines can help you stay sober. If you have a history of problems with quitting, tell your doctor or midwife. A person who drinks most of the day, starting in the morning, for example, may need medical help to quit drinking alcohol safely. Drink lots of water every day. This can help reduce premature contractions. Take a daily vitamin that has folic acid. A vitamin meant for pregnant women can help prevent birth defects. Increase the calcium in your diet. Try to get 3 to 4 food guide servings of milk and calcium-fortified alternatives each day. Good choices include non-fat or low-fat milk, yogurt, and cheese. If you cannot eat milk products, you can get calcium from calcium-fortified products such as orange juice, soy beverage, and tofu. Other sources of calcium include leafy green vegetables such as broccoli, kale, mustard greens, turnip greens, bok choy, and Brussels sprouts. Limit the amount of caffeine you get to 300 mg or less each day. That's about 2 cups of coffee or tea. Coffee, tea, cola, and chocolate all have caffeine. Get regular exercise during pregnancy. Try to get 2½ hours a week. Walking and swimming are good exercises during pregnancy. Use acetaminophen (Tylenol) to relieve minor problems, such as a mild headache or backache or a mild fever with cold symptoms. Do not use non-steroidal anti-inflammatory drugs (NSAIDs), such as any type of aspirin product, ibuprofen (Advil, Motrin), or naproxen (Aleve), unless your doctor says it is okay. Do not take any other medicine unless your doctor says it is okay. 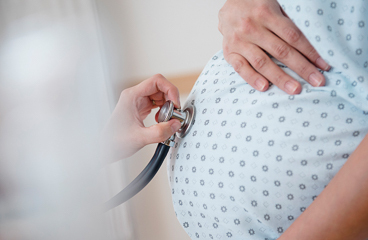 Go to all scheduled doctor or midwife visits while you are pregnant. You need help with drug or alcohol problems. Enter S018 in the search box to learn more about "Substance Use and Pregnancy: Care Instructions".